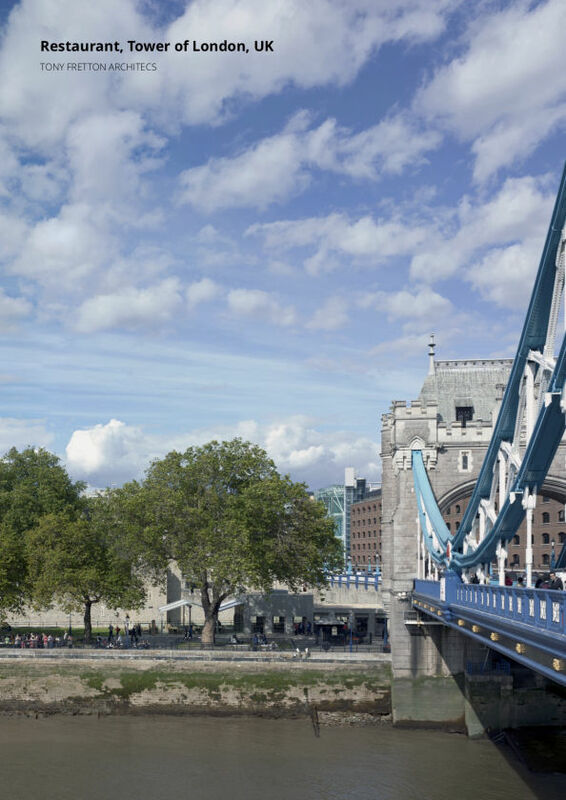 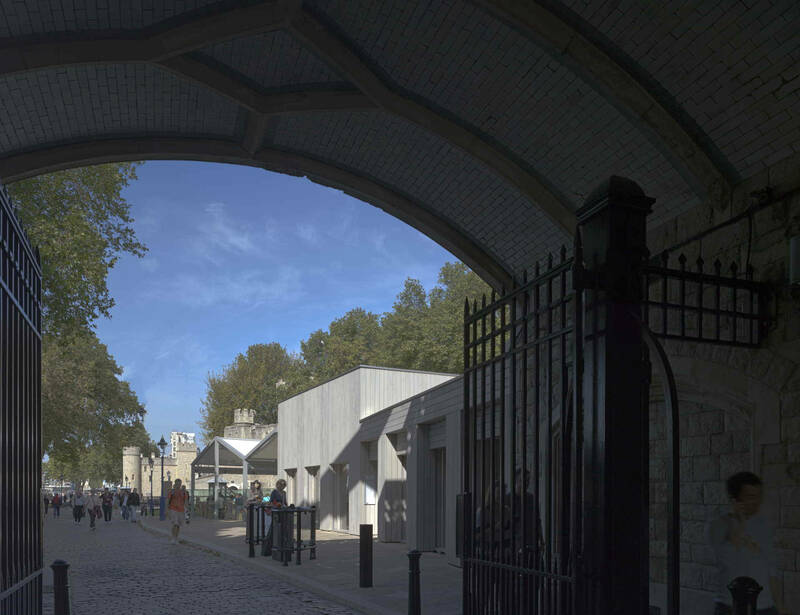 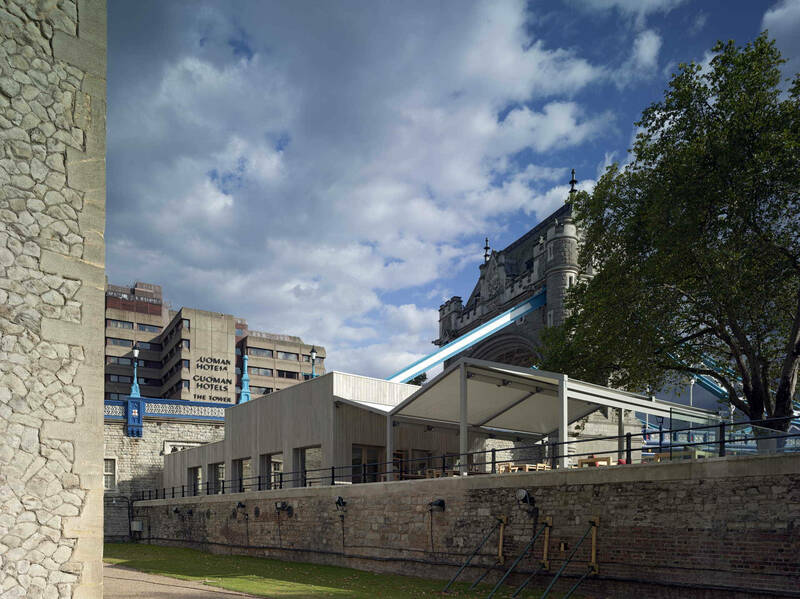 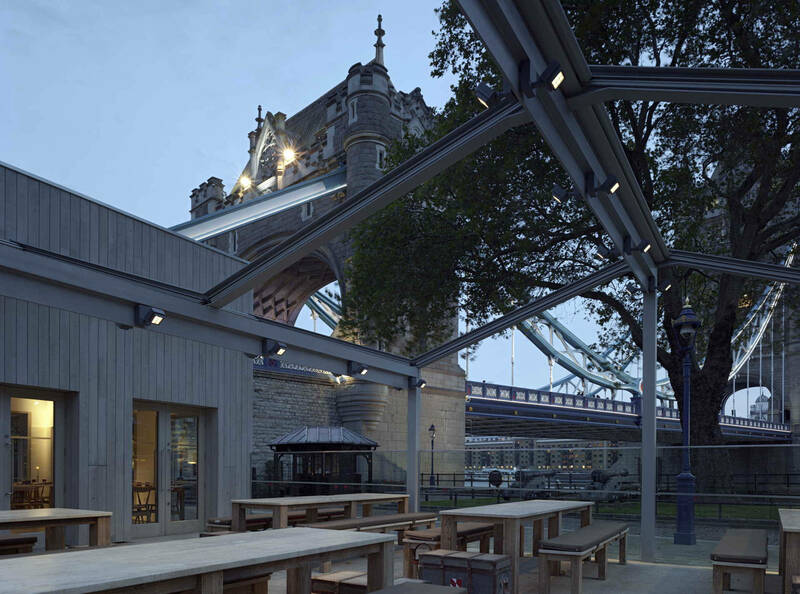 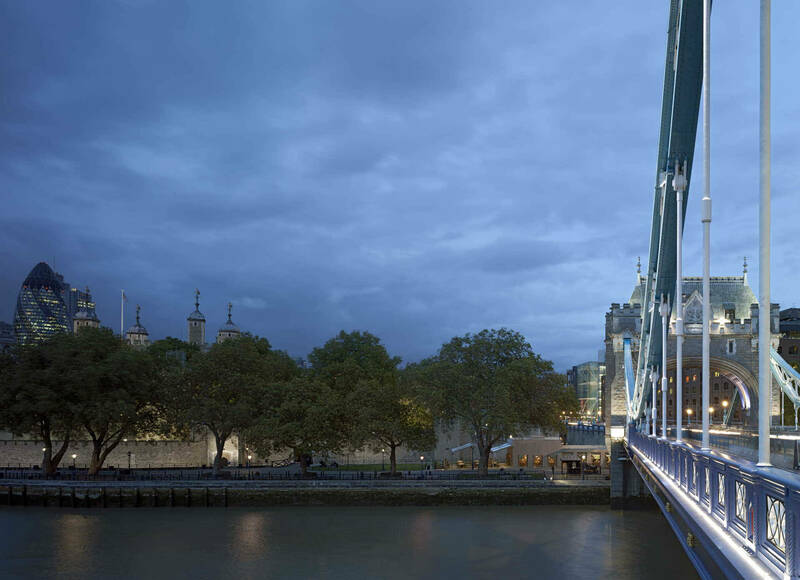 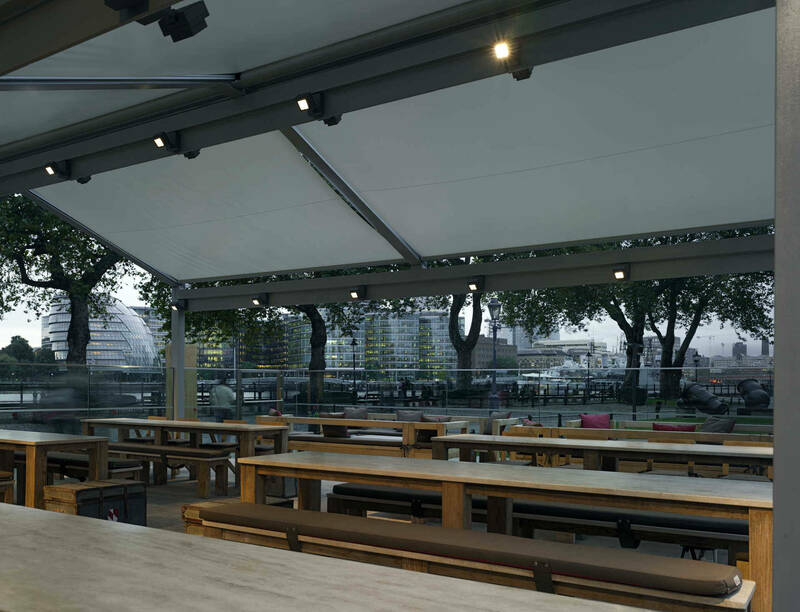 Tony Fretton Architects were asked to design a restaurant in one of the worlds most historically significant locations at an intersection between the UNESCO world heritage site of the Tower of London and Tower Bridge. 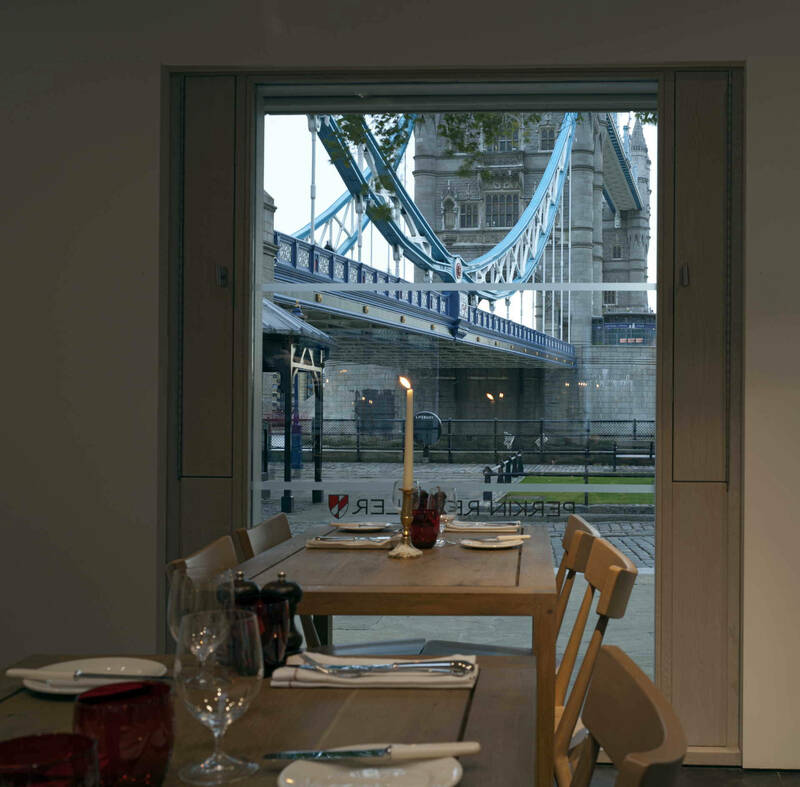 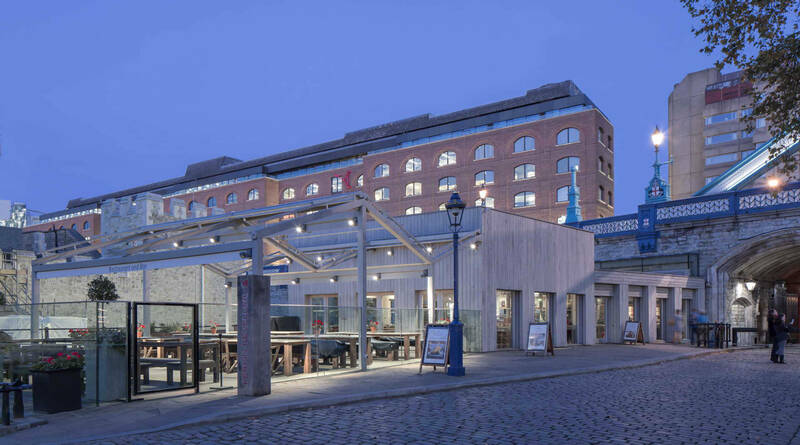 The new building is broken into four distinct parts arranged in a row; the archway entrance bar within Tower Bridge, a low entrance building from the wharf, a tall dining room in the middle and a glass walled terrace that provides covered outdoor dining. 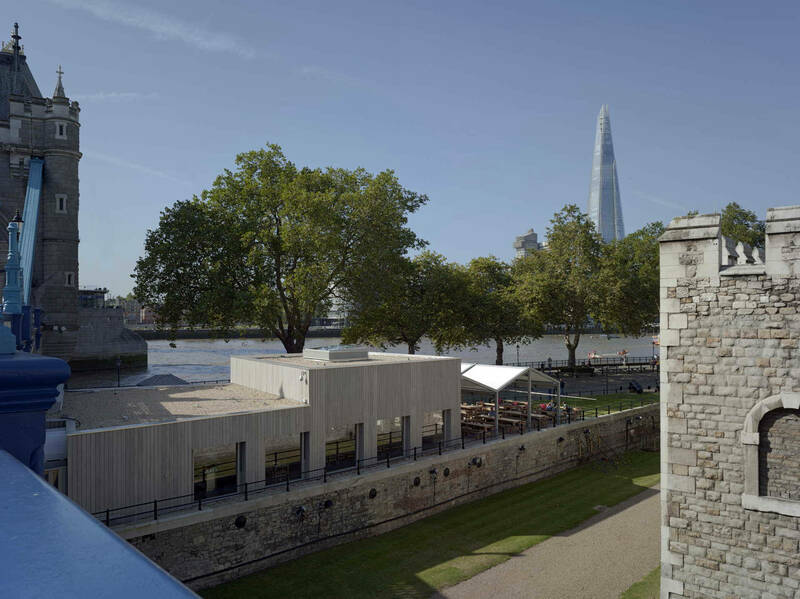 The new four-part arrangement enters into a dialogue with the adjacent Tower of London outer wall, itself an assembly of towers and curtain walls of differing height and form. 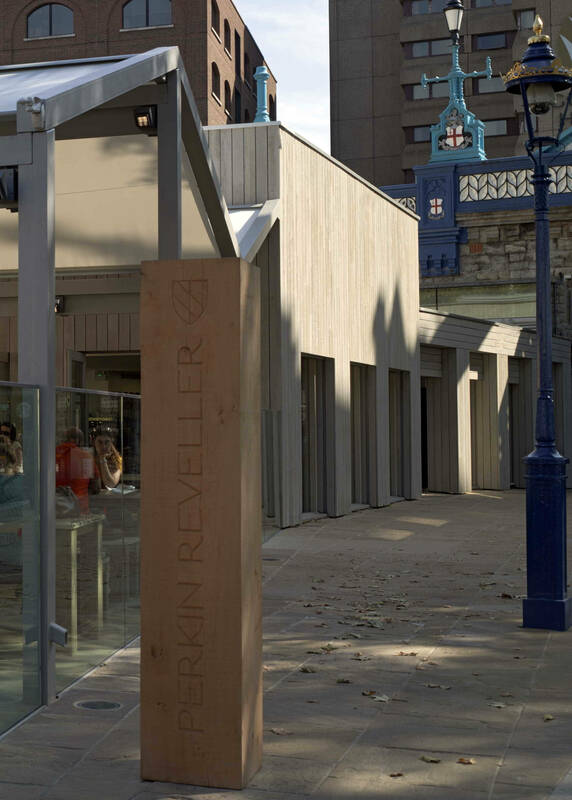 The rough sawn English sweet chestnut vertical cladding is chosen to blend closely with the hues and tones of the Kentish Ragstone of the tower walls and bridge. 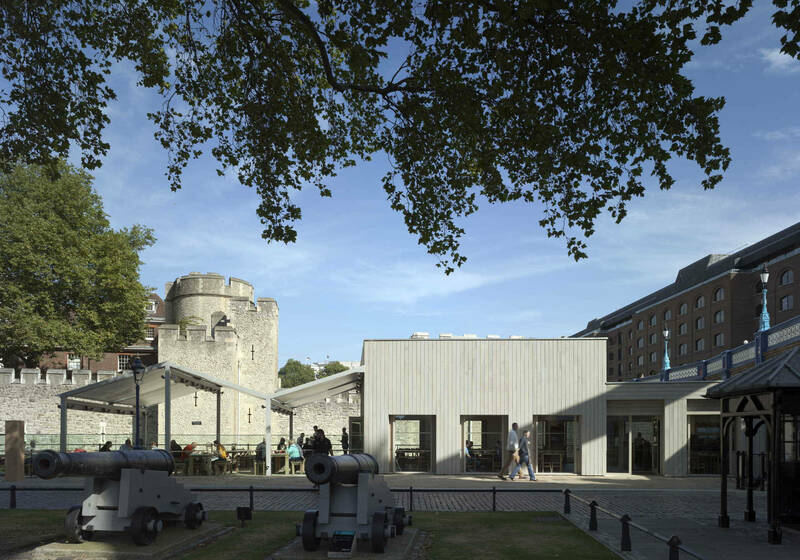 A new restaurant building within a UNESCO world heritage site.